Free Upgrade to Windows 10 from Windows 8: What You Need to Know? Finally, the new iteration of Windows, namely Windows 10, was officially released. Many Windows 8 users are desperate to give Windows 10 a try. If you are a fan of Windows 10 and fed up with various Windows 8 errors, you can upgrade Windows 8 to Windows 10 following the guide below. Q1: How long will it take to download and install Windows 10? A: The time varies, depending on the age of your computer and how it's configured. Many will finish this within about 2 hours, while older needs longer and newer high performance device needs shorter. Q2: Any data loss after upgrading from Windows 8 to Windows 10? A: Generally speaking, no data will lose during the upgrade. If there're files stored in system drive (C:), you'd better move them to another drive. If you still worry about data loss, you can make a backup of your important files. Q3: Will my computer work smoothly after making this upgrade? A: According to feedback from many people, their computers work fluently as before, some even run more smoothly. Update: 1 year free upgrade from Windows 7/8.1 to Windows 10 has expired (Deadline: July 29, 2016). Meanwhile, Microsoft closed assistive technologies upgrade - a loophole that was once used for upgrading to Windows 10 for free. DVD playback capability is disabled on Windows 10. To play DVDs on Windows 10, you can use WinX DVD Ripper Platinum to rip any DVDs (Disney DVDs included) to Windows 10 PC, tablets, phones playable formats, like MP4, AVI, WMV, etc. Why People Want to Upgrade Windows 8 to Windows 10? There are good reasons for upgrading from Windows 8 to Windows 10. * People always encounter errors while working on Windows 8, such as Blue Screen Error, RunDLL Error, Activiation Error, Boot Error, etc. * Windows 10 comes with many appealing features: combining the best of Windows 8 with a desktop similar to Windows 7, integration of Cortana, working across PCs, phones and tablets, etc. Before upgrading Windows 8 to Windows 10, you should check if your PC or tablet can be compatible with Windows 10. In theory, a PC compatible with Windows 8 can support Windows 10 well. If your PC is ready, simply follow the guide to upgrade to Windows 10 from Windows 8. It's easy to upgrade Windows 8 to Windows 10, and here we'll show you how to realize it. 1. Reserve your free upgrade to Windows 10. 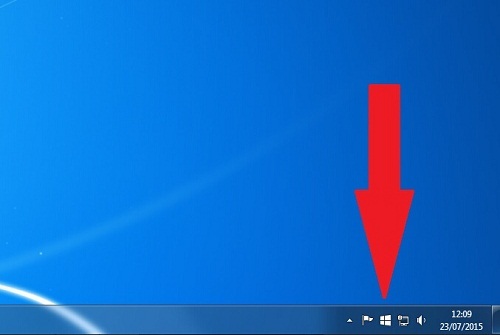 Generally speaking, if you are running on Windows 8, you should see a small Windows icon (Get Windows 10 app icon) located at the right end of the taskbar. Click on the icon, and then click "Reserve your free upgrade" in the app window. And then, just type in your email address to confirm your reservation. Tip: If you didn't see Get Windows 10 app icon, you may get help from Windows 10 FAQ. 2. Upgrade to Windows 10. After reserving the free upgrade, you just need to wait for the news from Microsoft. Once the upgrade is ready for your PC, you will receive a notification. Then, you can upgrade from Windows 8 to Windows 10 at once or pick a time fit for you. When all the steps are completed, you can run Windows 10 and begin enjoying new Windows 10 features. You can also find ways to get Windows 10 license key. >> If you got troubles during upgrading, please check Windows 10 install problems help page for a solution. - Fast rip/convert any DVDs (latest copy-protected DVDs and workout DVDs) as digital files in MP4, AVI, WMV, MOV, 3GP, FLV, or others accepted by Window 10/8 PC, Windows tablets/phones, Apple iPhone iPad iPod, Android, Sony Xperia seires, PS4, Xbox, etc. Thus, you can play DVD movies anytime anywhere. - 1:1 clone DVD to ISO file/DVD folder; copy DVD full/main title content as MPEG 2 file. This is a good way to back up fragile DVD discs.